I know we are a day late…..well we were expecting Mr Mickey the Hedgehog to come home Yesterday but due to the weather his return has been delayed but its warming up in a couple of days so it should be later this week!There has been a lot of action with our 2 visiting hedgehogs Reggie and the other one which we think may be a girl cause Reggie keeps trying to romance her but well she’s not having any of it so we will see but for now we shall call her Lola.We will up load some movies in the week for you all to see! Mummy has been busy working as she now has a new part time job as an in house pet blogger for toypetreview.com this is her first post if you want to take a look,so on top of her normal job she’s having to shuffle a bit with her time. Any way here’s me on another adventure last week….after all that’s what you really want to see! 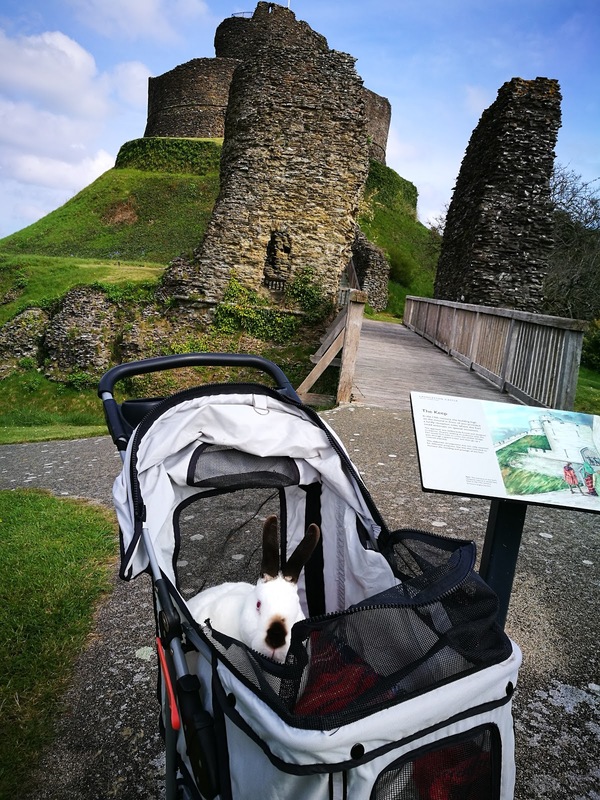 oh that sounds super sweet and we are curious what happens wirh reggie and lola … speedy that is a super castle, we would love to be there with you. Yippee Aunty Rachel!! Yore goin to bee fay-muss!!!! An Speedy you look furabuluss inn yore stroller selfie! An Reggie an Lola sound so happy there. Wee xcited fore Mickey too ree-tern home soon. Cute selfie and congrats to your mom on her writing job. Oh, I just read your article ~ FABullous!!!! I am so happy for you! Congrats!!! I can’t waits to see your movies Speedy….I bets you had a wonderful time! Congrats on mum’s new job! How exciting. Well done. We think your mum is Super Woman.